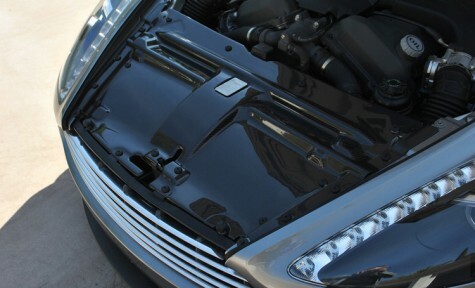 The carbon fiber engine/radiator panel covers a substantial section of the engine bay. The panel is a direct replacement for thr OEM metal cover and gives the engine bay a distinct and stylish new look. The carbon fiber cover is extremely durable and can easily withstand the engine heat. The cover is available in either matte or glossy carbon fiber.